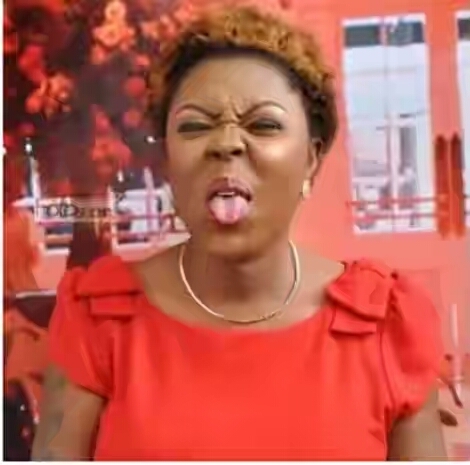 Afia Schwarzenegger’s act of encouraging Ghanaians to share widely, a video of her allegedly cheating on her husband, is only meant to nullify the negative effects the video will have on her, Mr Oscar Siripi, a counsellor has said. The video allegedly recorded by her husband, Mr Lawrence Abrokwa, has been circulating on social media but the controversial actress and comedienne said she wants it to be widely circulated. The video captures Afia Schwarzenegger naked with only a white towel covering her torso and wearing a head scarf. She was heard and seen in the video begging her husband who threatened to douse her face with acid, not to do so. She is also heard saying in the video that she took a loan to sponsor their wedding in South Africa. Despite the viral nature of the video, the comedienne later recorded another video of herself dancing, and with hints of defiance in her tone and demeanour, urged Ghanaians to help spread the video widely on social media. “Let me first and foremost apologise to the fans of Funny Face because this week you were expected to trend but I’ve killed the ‘two-minute’ [saga] and let me express my disappointment in Ghanaians. Ghanaians have shocked me. The video hasn’t gone viral as I want it to go. So if you haven’t sent it to your friends, please send it to them via WhatsApp. Make sure everyone gets the video. I’m disappointed the video hasn’t gone viral,” she said in the video. Reacting to this development, Mr Siripi told Class News that Afia is “emotionally broken” and needs help. “What she is doing now is putting up a defence that in spite of the fact that this thing is not good, which she will not even say it, go ahead and do it, so that she will nullify the negative effect that those pictures will have on her and that’s what she’s doing. It’s like you going to steal and when you are caught, you want to create the impression that stealing is not a crime or it’s not a bad thing to do. All that she is doing now is to nullify the negative and psychological impact on her life,” he stated. “At this point in time, somebody should talk to her so that she can go through counselling. She needs help and the fact that she’s on social media asking other people to do same [share her video] doesn’t mean she’s ok. So family members close to her should begin to speak to her so that when she calms down emotionally, then they recommend counselling for her because emotionally, she’s broken down and all that she’s doing is to build a wall of defence around whatever is happening to her,” he added.